We have had a busy early spring. 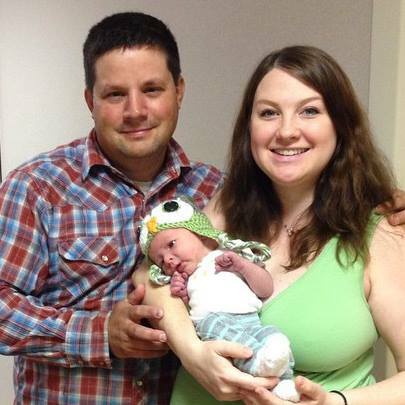 Our first son was born this month! Luke Anson Lawrence. Baby Luke and momma Jesie are settling in nice at home now. Whenever he gets fussy a walkabout on the farm always soothes him. We have had lots of babies on the farm this month. We have 23 beautiful baby Tamworths! They are such delightful pigs. 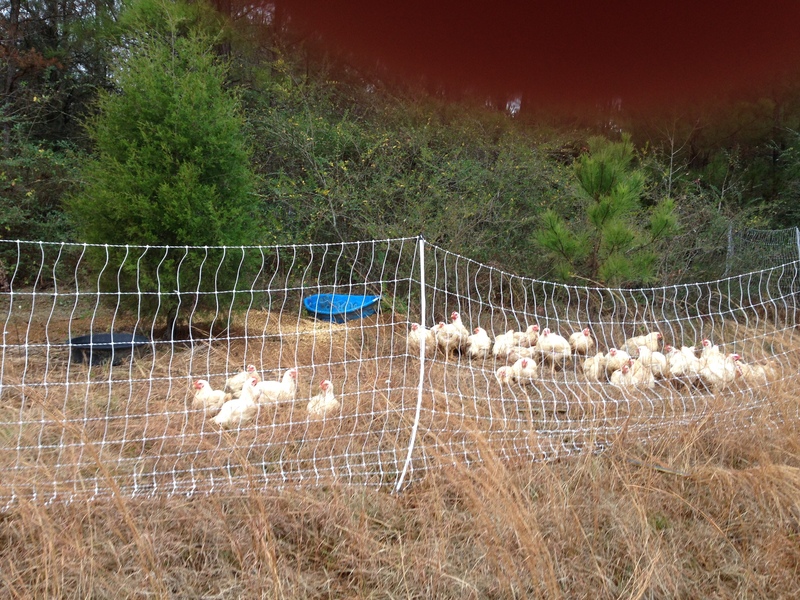 We also have 100 new Rainbow broilers, 100 Golden Nugget egg layers, 30 barred rocks, and 50 Heritage white broilers. Thats a lot of chicks!! The garden is going great! That is spite of a big set back – we had a touch of the dreaded Tobacco Mosaic Disease. We don’t smoke but hosted a wwoofer who did. It isn’t his fault, as we should have had more strict rules on greenhouse and garden etiquette. For those that don’t know, this virus kills everything around it. The only recourse is to destroy the affected plants and the soil blocks. Bottom line, if you handle plants and smoke make sure to have new unsmoked in clothes and very clean hands first. 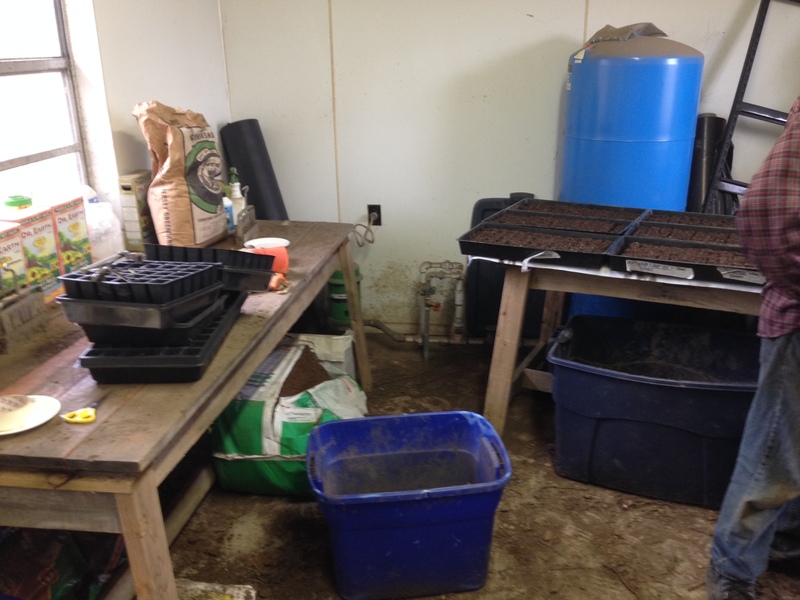 We replanted all we lost (over 6000 plants) but a lot of our produce will be a few weeks behind this year as a result. That didn’t stop farmer Rachel from enjoying some of her first crops! Everything is so green down here now. Our garden has lots of dark green, healthy looking leaves so we are encouraged. 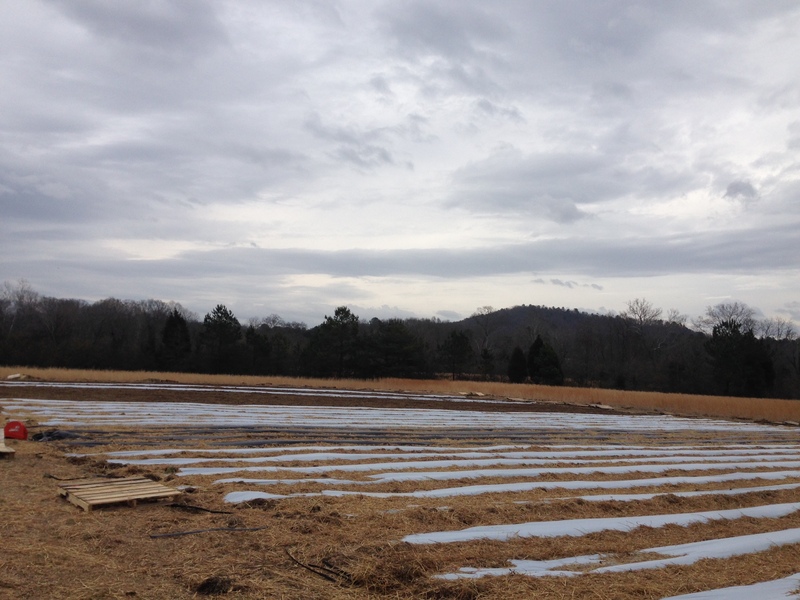 The grass is really starting to pop which is great for our pastured animals. 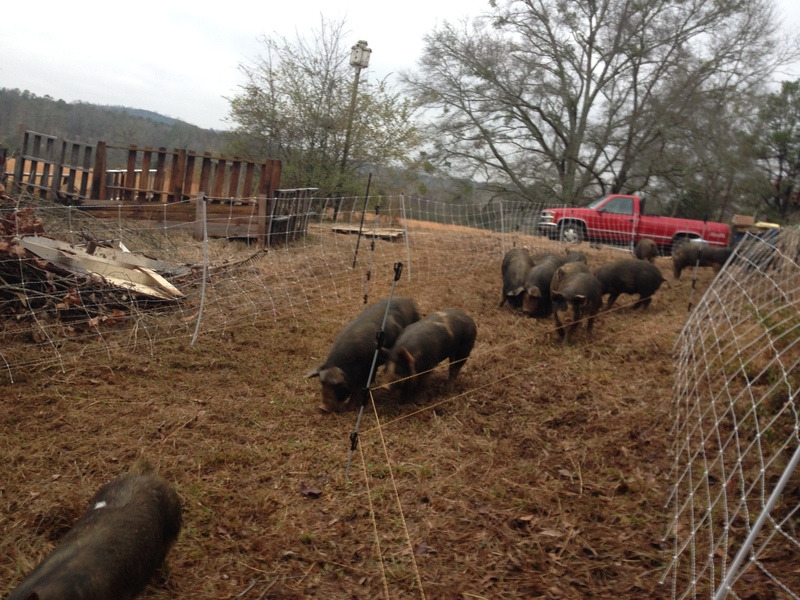 Here is a panorama I took a few weeks backs before to show our chickens following behind our pigs. Today I pick up over 2100 lbs of USDA inspected, vacuum-sealed, cut Berkshire pork. 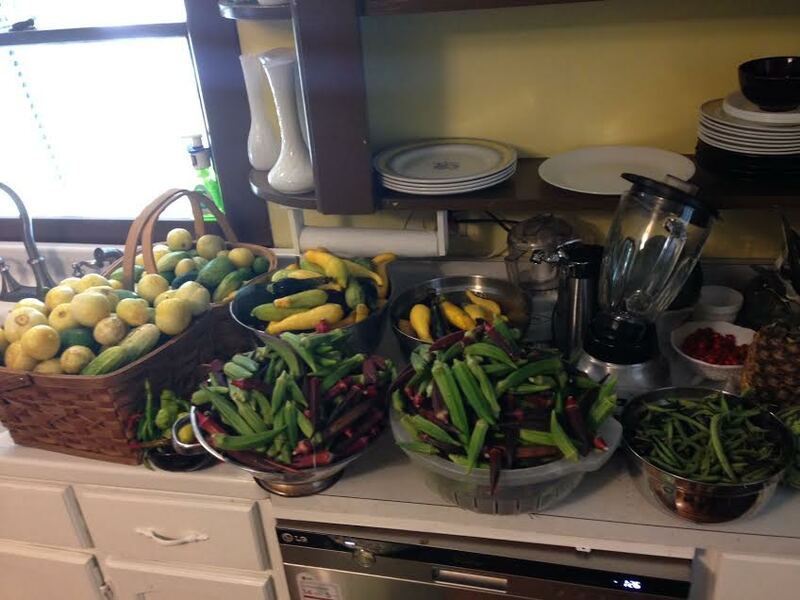 Some of it has been pre sold and the rest is available for purchase on our website or at farmers markets. The processor said ours was some of his favorite pork to work on. It was very healthy and the meat is gorgeous. Notice how red the meat is. Confinement pork is white because of the breed of pig and lack of muscular development. This is good healthy meat here. 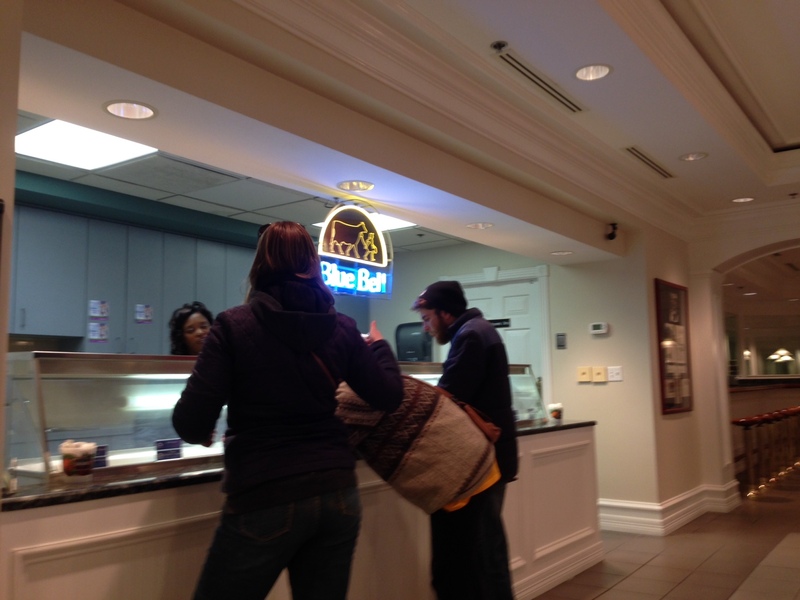 It is time to buy your Berkshire pork share. 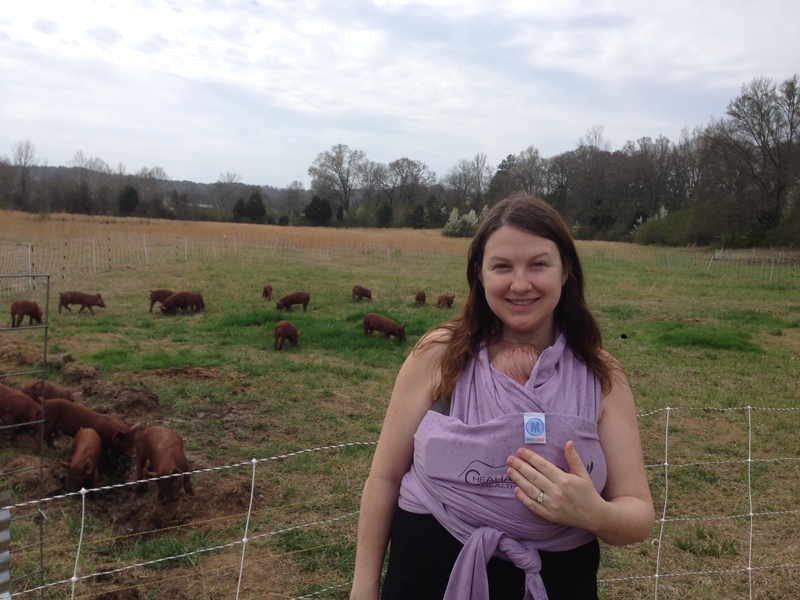 If you are unfamiliar with buying part of a hog – it is simple. You go online to our store and select either a quarter, half, or whole hog and pay for it via paypal or credit card. 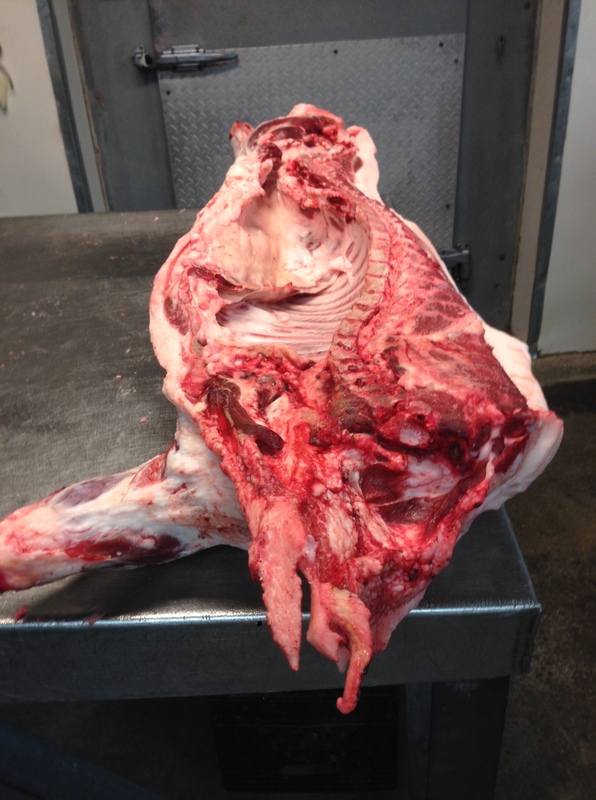 We will send you a cut sheet which will detail how you want the meat cut. (Do you want 1 inch thick pork chops or 2 inch thick? Do you want cured bacon or whole pork belly? Do you want cured ham or that cut to be used to make more sausage? etc.) The cuts are all USDA inspected, frozen, labeled, and vacuum-sealed. 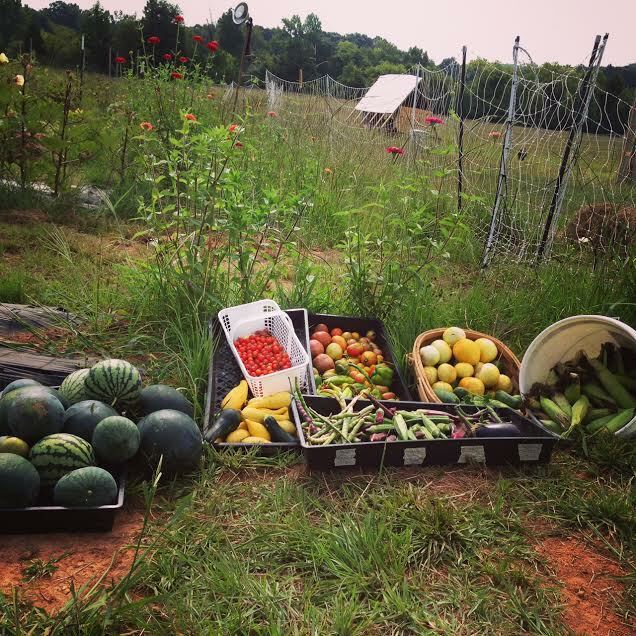 Then you can either come visit the farm in Sylacauga to pick it up, or we can bring it to you if you live in Birmingham, Tuscaloosa, Anniston, Montgomery, Auburn, Shelby/Talladega/St Clair county, or really anywhere in between. To say this is a great price is an understatement. We are selling the whole hog at $3.25 a lb. Most of the cuts retail at $7-$11 a lb, so the savings by buying up front are quite substantial. If you want your ham or bacon cured, the processor charges $3 a lb for that. If you want that, we will collect the balance on delivery. If you buy a whole hog and the weight is more or less than 180 lbs, we will settle on what we owe you or you us at delivery, as well. The final price will be based on the hanging weight of your hog if you buy one whole. Hanging weight is the weight after it has been cleaned. 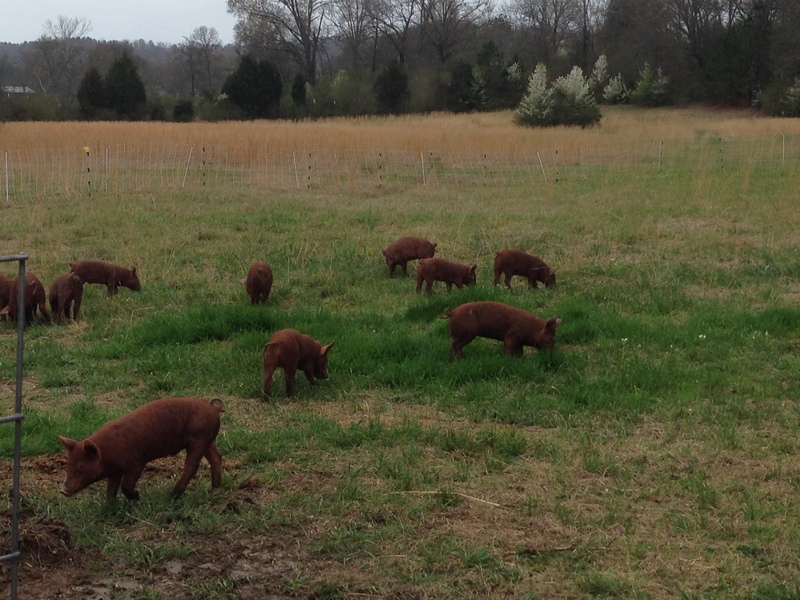 These hogs have been raised all winter in silvopasture (woods and grasses) with access to fermented barley, wheat, and sorghum with a non-GMO hog feed. Call me (Matthew) at 205-936-6120 with any questions. We had a busy, busy February. 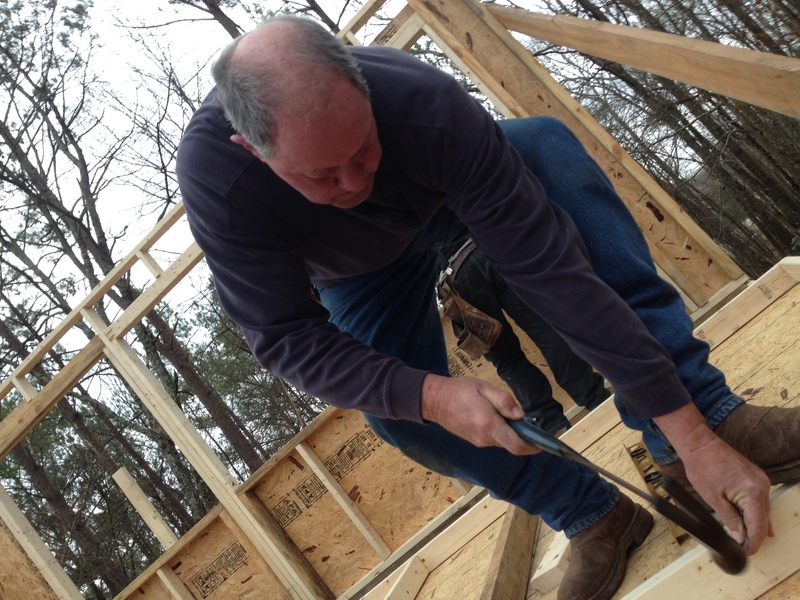 Between the garden and the walk-in freezer build, we found time to raise some great looking hogs, visit the local Blue Bell creamery, prepare a site for a root cellar, and help our good friends Charlie and Frannie work on their new no-so-tiny, tiny house! 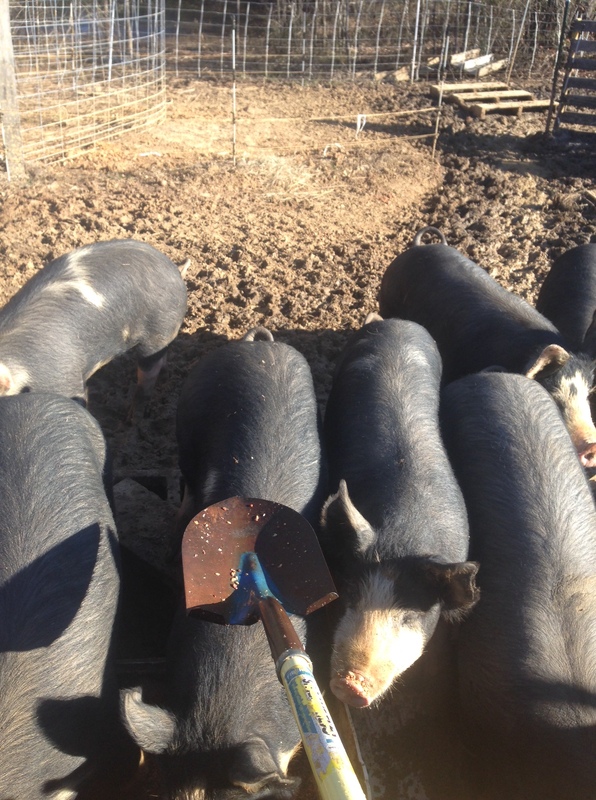 Here we are hosing the hogs down in the rare February heat. 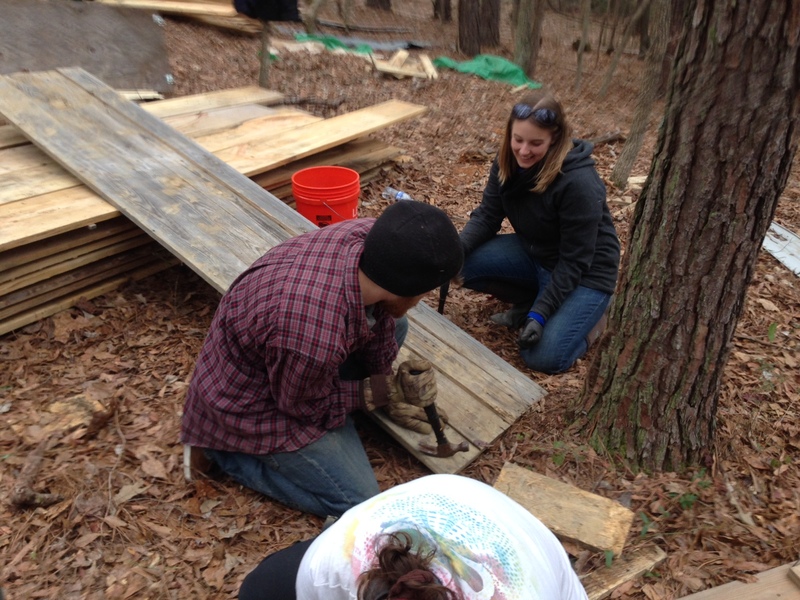 Here I am digging a hole out for the root cellar. 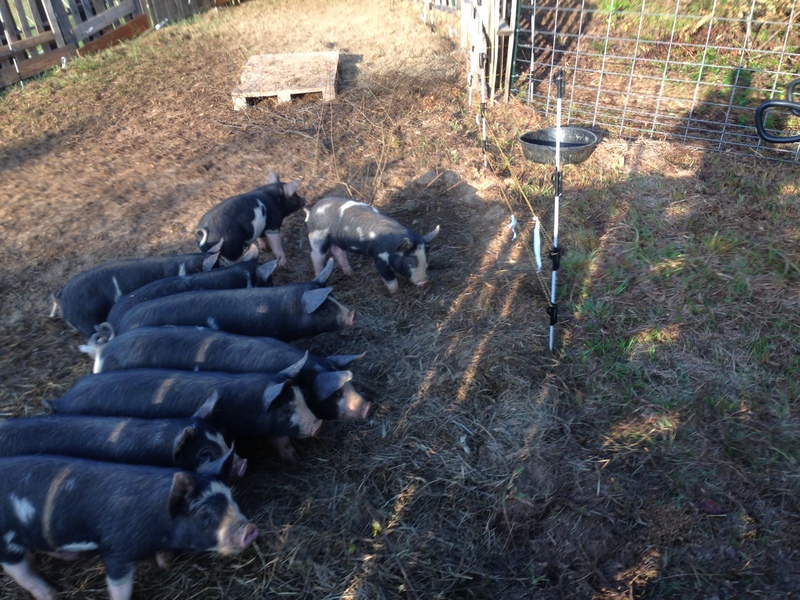 We feed our hogs non-GMO feed from Hillsboro, AL as well as sorghum and wheat fermented with grains from Druid City Brewing and Black Warrior Brewing. We love watching it bubble! Here is Christian moving some tables with style. 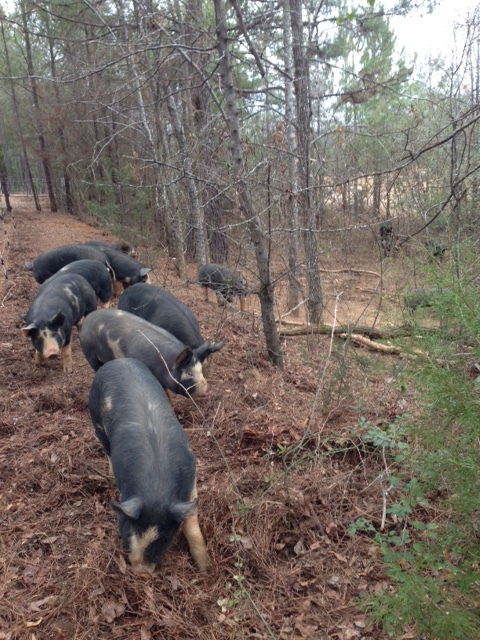 Our Berkshire hogs are getting close to time to process. Pre-Order yours today, as the price per lb is much lower than they are retail. We need a place to store all the meat (over a ton! ), so we are building a walk-in freezer. 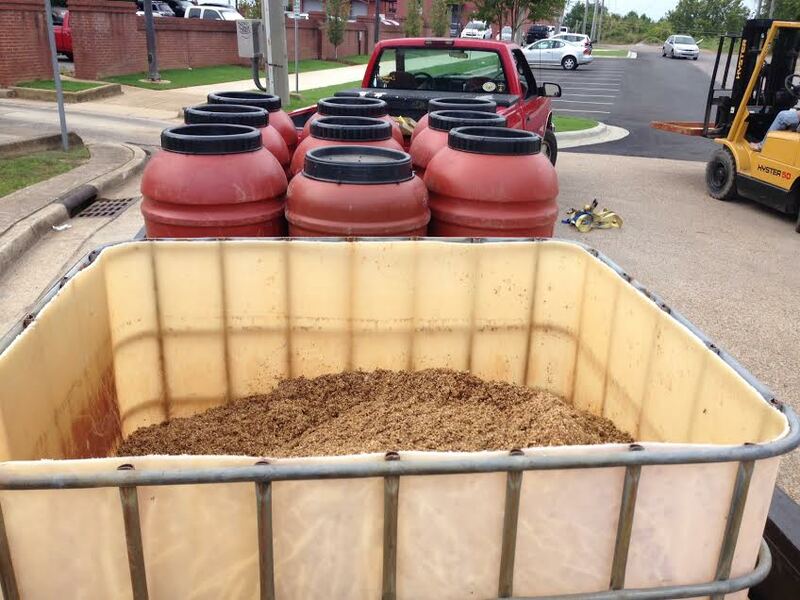 We got the condenser and fan from a generous arrangement with Black Warrior Brewing Company. Thanks Jason!!! We prepped the spot by determining what level the concrete forms needed to be at to make a flat surface. Our good friend Ben Ballenger came out and helped us do that. Once we knew where the forms needed to be (made out of 12 x 2 boards), we had to move tons of fill dirt in. Sometimes I feel like all we do is move tons of material from here to there. Once we got the fill dirt in, we added 3-4 inches of gravel on the bottom everywhere (more tons). We decided upon the advice of counsel that we should hire a concrete finisher. Having no experience with concrete finishing, we bit the bullet and did this. Here is the concrete truck backing up to the site. Our finishers got the concrete out in no time. Notice the cattle wire fencing we are using in place of rebar. You need metal in the concrete to help it deal with pulling pressures. We put a drain in through one side of the slab. We put a light broom finish on it, so when it gets wet we don’t slip and fall. The finished product is impressive! For the panels, we had found a deal for free panels on craigslist. We get a large load of those. We decided after much tribulation that the freezer needed to be of a higher quality. So we went back to the same place and bought one that was intact. It was a deli freezer at a Harris Teeter. It took us two days of hard work to put the puzzle together. We had to take half of it down and start over after day 1 since we didn’t have instructions. We are so pleased with the final results. It is huge! 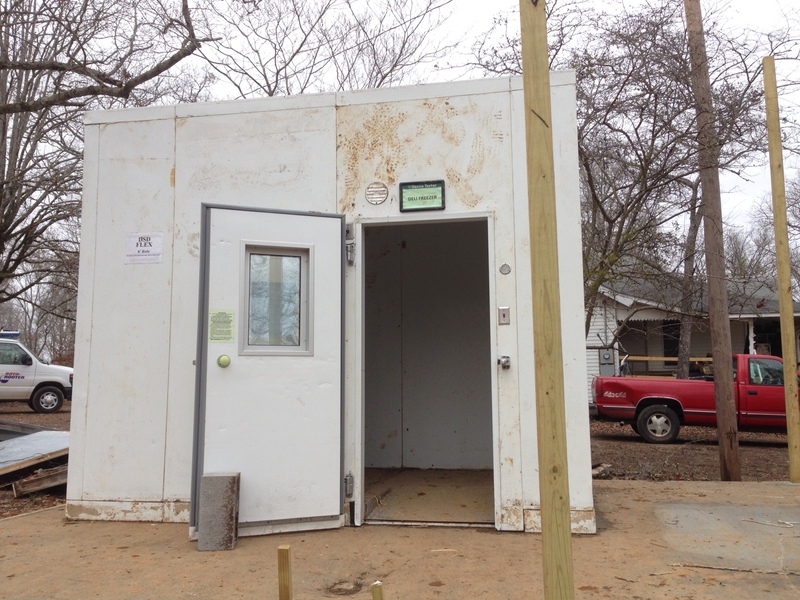 We will have 800 cubic feet of freezer space once the electrician hooks it up next week. Spring is coming! We received a new WWOOFer week before last, Rachel. She will be spending the whole year with us, so we are very excited! We are putting the garden in a new location this year. The soil is better, and we can see it from the house. If you attended our wedding and sat on the right side, you sat where the garden is now. 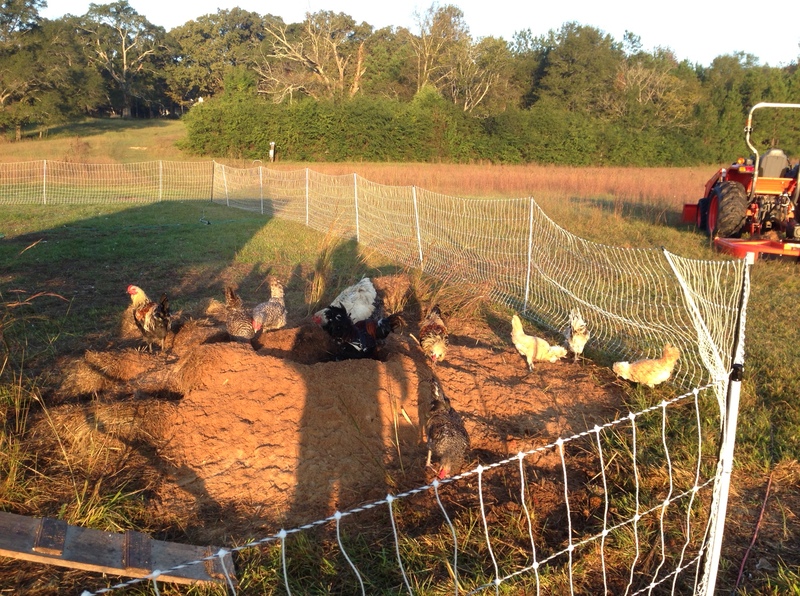 To prepare for the new site, we went through a few months of rotating chickens and composting on site with spent brewers grain, leaves, and old hay. This really added a lot of fertility to the site. 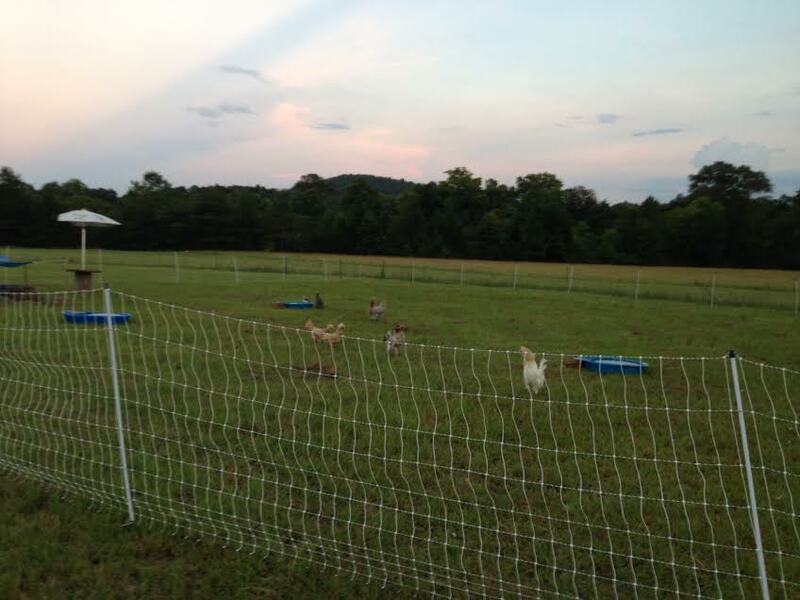 The area where the chickens had been was so green and lush vs where they had not been. 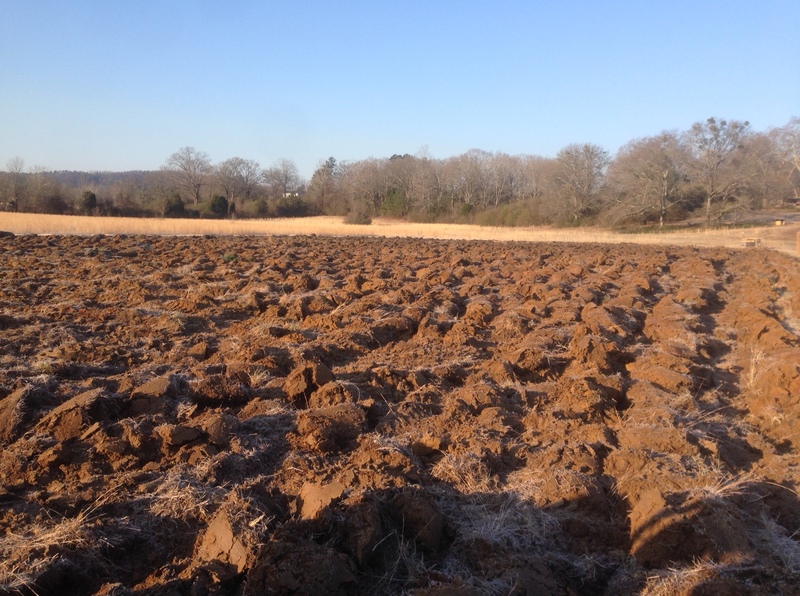 An unusual dry spell got me hoping the ground was dry enough for me to plow, disc, and till. 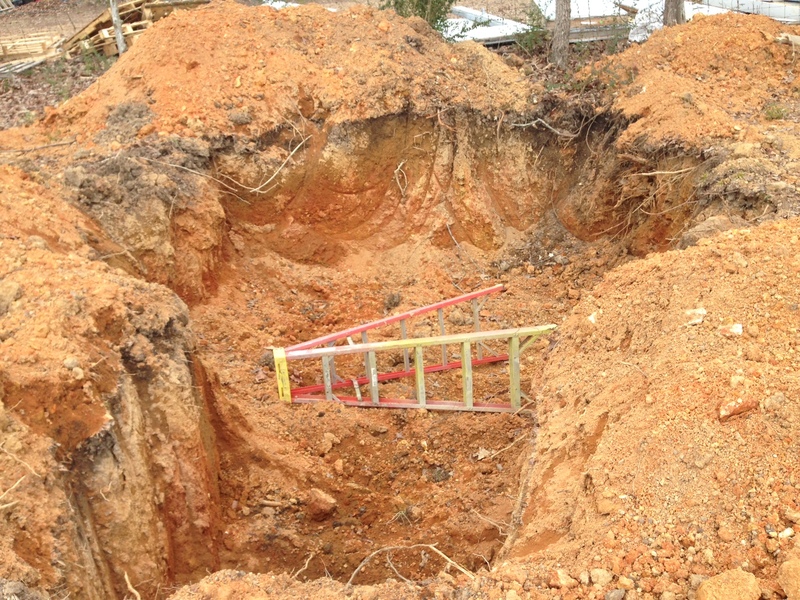 Here is the ground broken and waiting to be worked into a fine soil. Here is a shot from the top of the hill. Notice the pallets at the forefront. 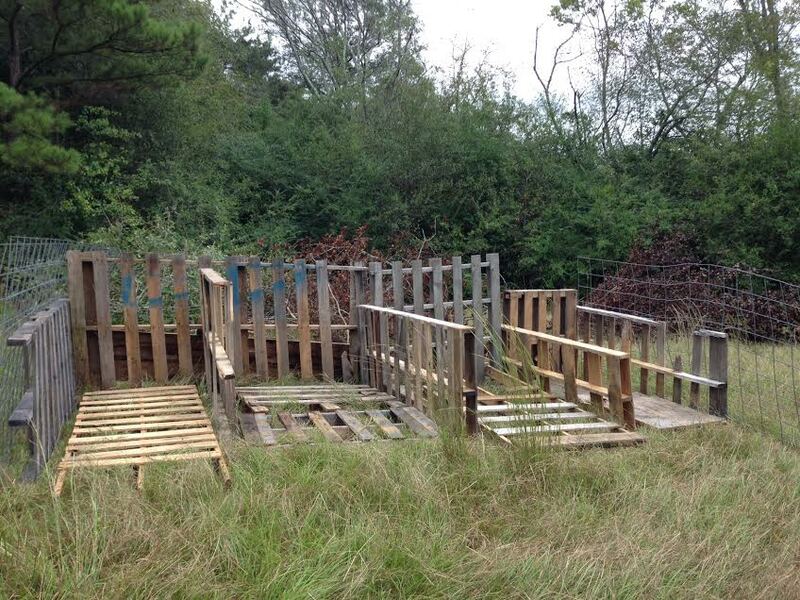 That will be an awesome fence later. We used the subsoiler to dig a trench for water and power lines. We are going to use the garden as the center hub on our spoke system for rotational grazing, so we will put water and power every 100 feet around the garden perimeter. Here are the WWOOFers helping guide me as we lay down the plastic mulch we use.The mulch allows us to reduce water use by upwards of 70%! This is because the drip tape is underneath the mulch. It also prevents weeds from coming up. It looks like a lot but it is actually fairly thin. The whole field worth of plastic would fit into a small trashbag when all pulled up cleanly. We left a few spots without plastic. We are experimenting with using different types of mulch this year. We are taking soil samples at the beginning of the year and noting what soil life (nematodes, bacteria, fungi, etc.) we have at the beginning of the year, in the height of the growing season, and at the end of the year. 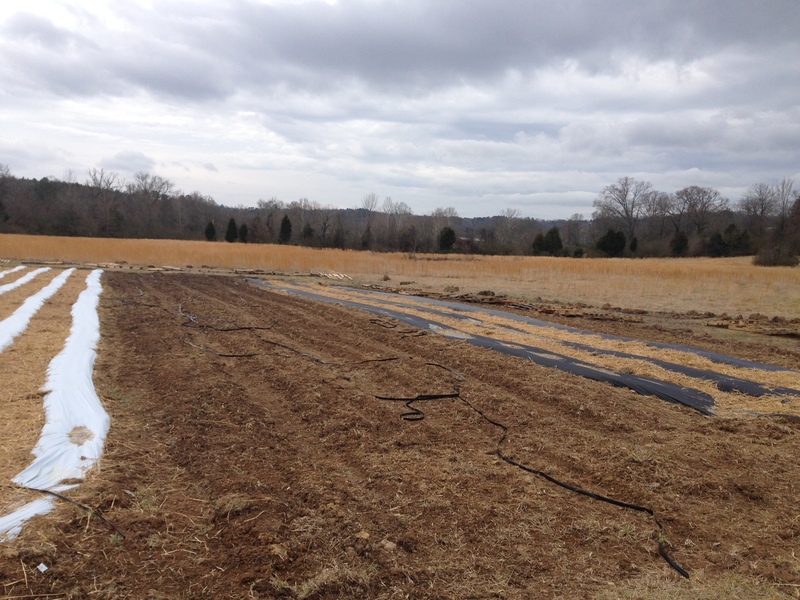 We want to know what mulching system creates the best soil life. 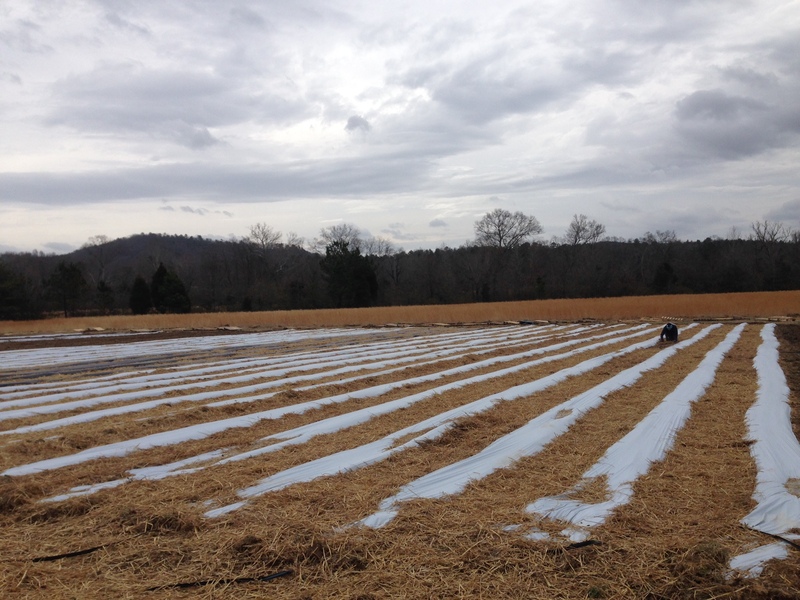 Finally the WWOOFers spread a few tons of wheat straw between the rows. We learned the hard way last year that trying to use a living mulch between the plastic mulch is a recipe for heartache. This is pleasant to walk on and will create more organic matter for next season. Great work, guys! But what all to put in there? Well Allison and Rachel have really been busy the last few weeks. 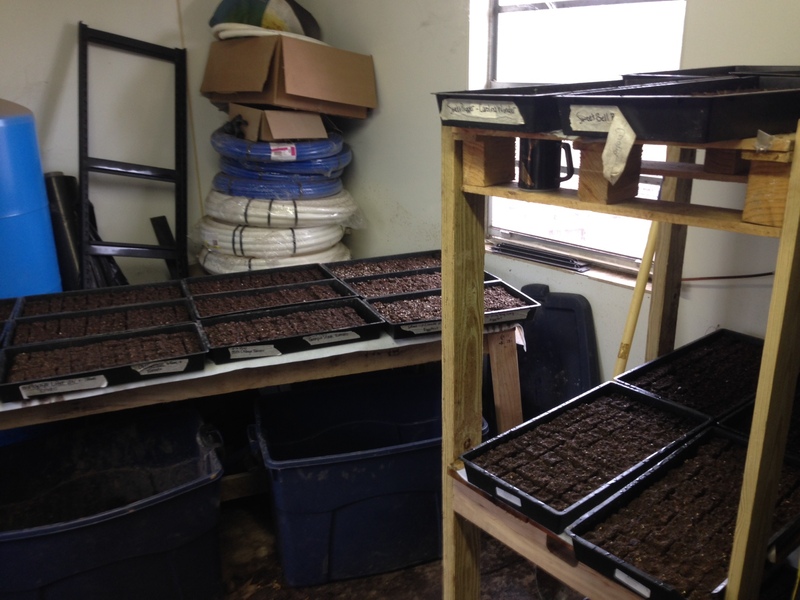 They have started over 4,000 new baby plants!!! 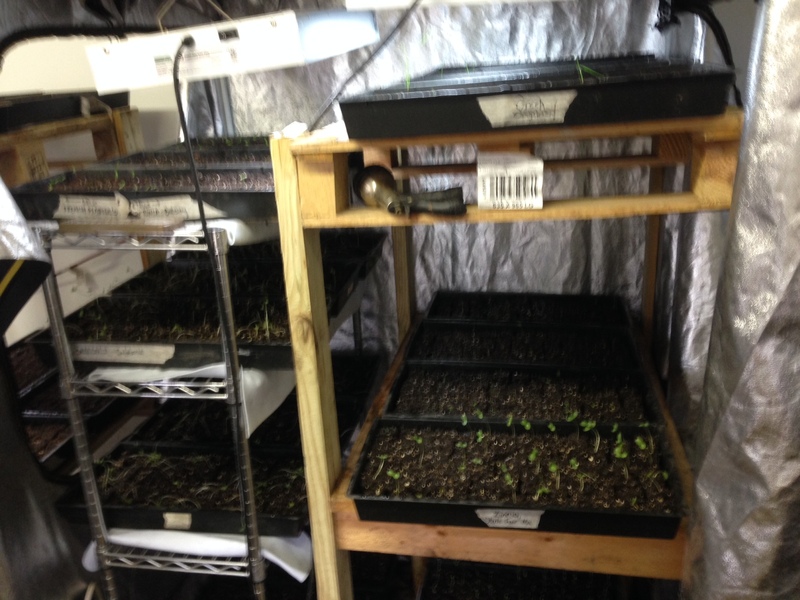 So far we have many heirloom and traditional varieties of Broccoli, Cauliflower, Arugula, Celosia, Butterfly Weed, Zinnias, Nasturtium, Cumin, Chives, Echinacea, Basil, Cabbage, Eggplant, Peppers, and Tomatoes. January is in the books! This month has flown by! The daffodils are starting to creep up out of the ground, and the transplants are getting started this week. Spring will be here before you know it. 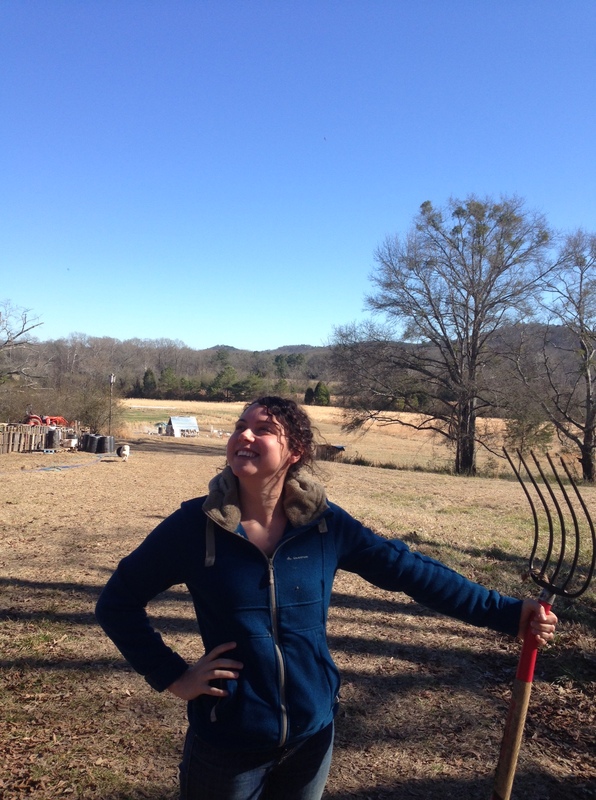 We hosted our first WWOOFer, Juliette from France, for a few weeks. 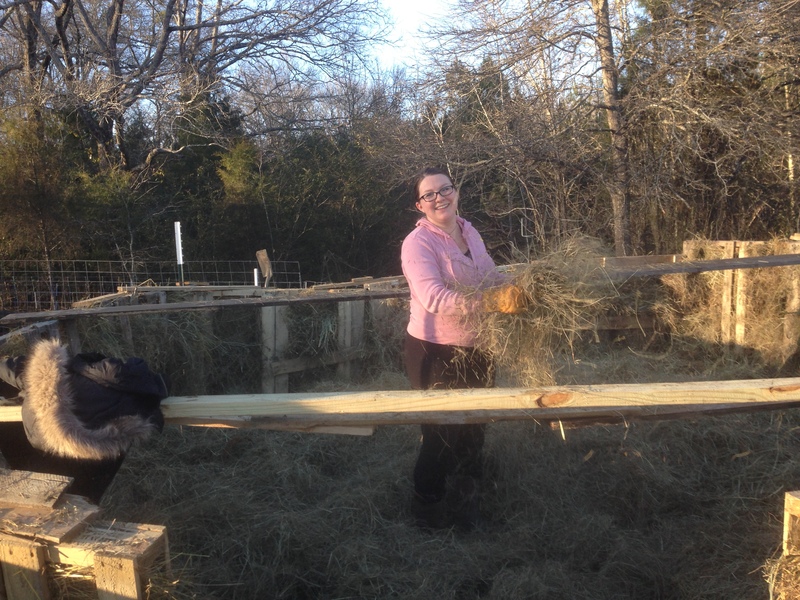 She got here at 10 pm and it was 16 degrees, so our plumbing froze and she immediately had to got to work with Jesie adding hay to the pigs and chickens so they could keep warm. She stayed with us a few weeks and really helped us get tons accomplished. Now we have Christian from Jacksonville, FL and Allison from California and Oregon here. They are awesome, with two great senses of humor. Here they are spreading manure. 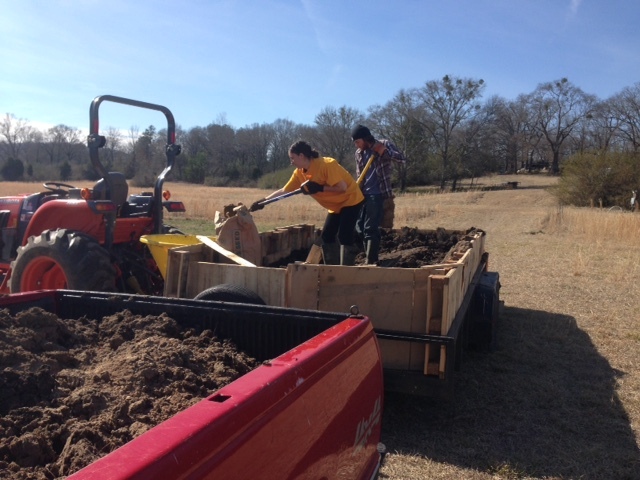 We couldn’t ask for two better farmhands. We have switched feed companies and now buy exclusively non-GMO feed out of North Alabama. 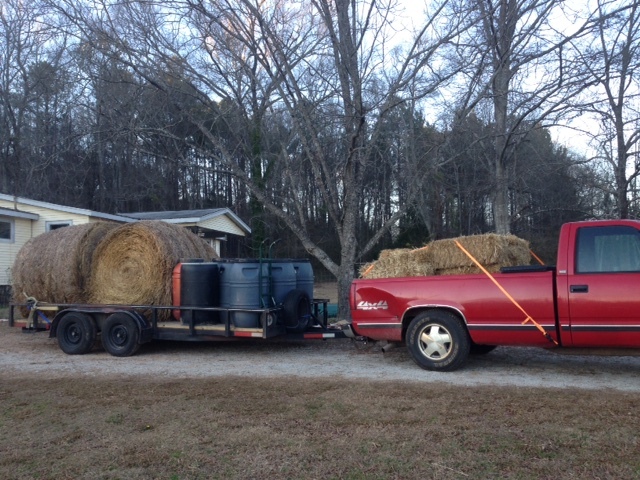 We went and picked up our first few tons last week and had some space on the trailer, so we threw on a few tons of wheat straw. We are going to use those to mulch between our rows this year. Lastly, these pigs are getting huge!! The wet weather means their feeding area has gotten mucky mucky. They have nice paddocks, but those 180-pound animals with razors for feet have done a number on the feeding area. We are nearing the one-year anniversary of the creation of Marble Creek. We have come a very long way. 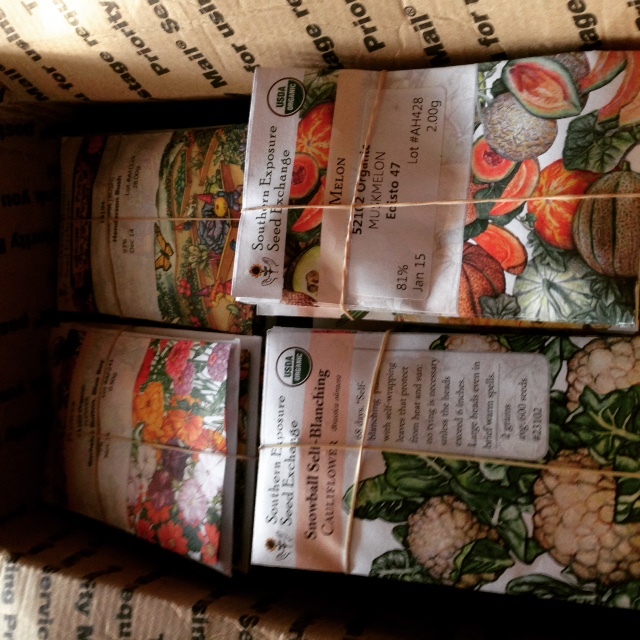 Can you believe we are already starting our seed order and are a little behind on starting some of our transplants? We can’t either. 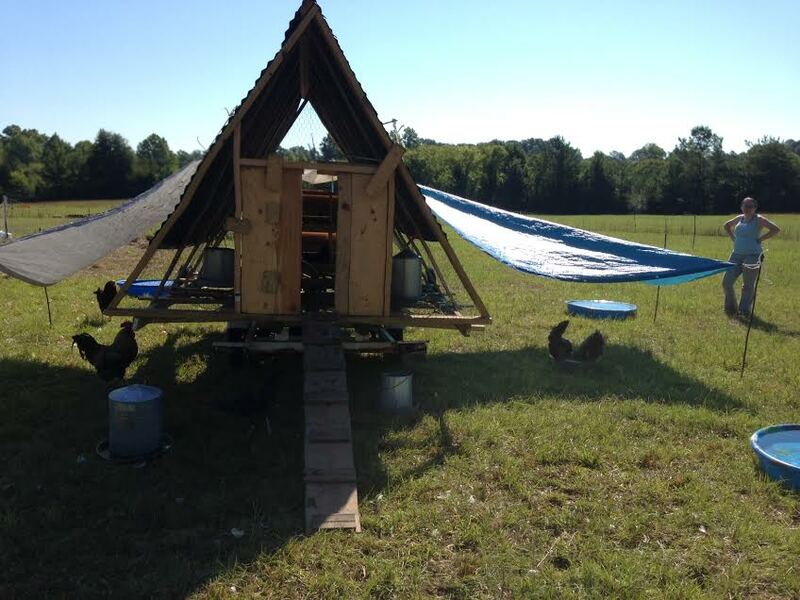 We are excited to start hosting our first WWOOFer today. 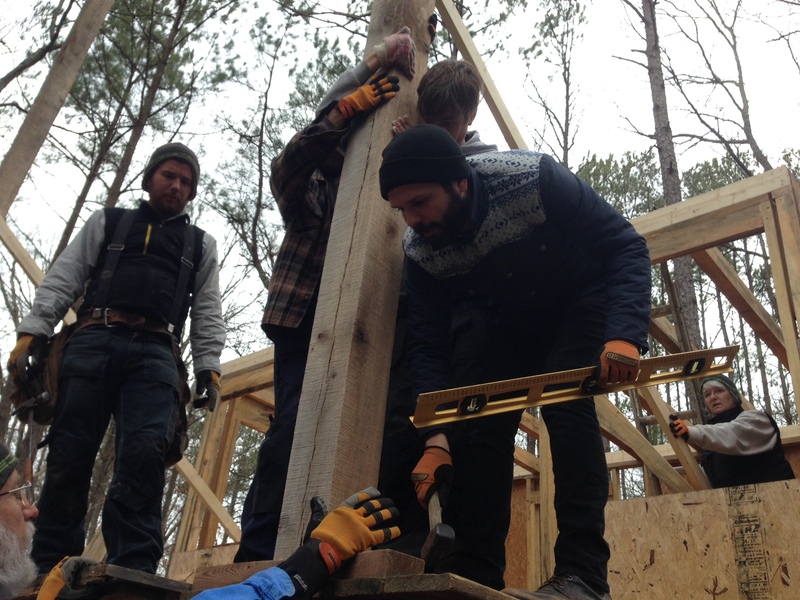 We will have a full house of young aspiring sustainable farmers eager to learn and lend a hand. We spent the last few days planning what they will be working on, and we are excited about all we hope to accomplish in the next few months before our first child arrives. 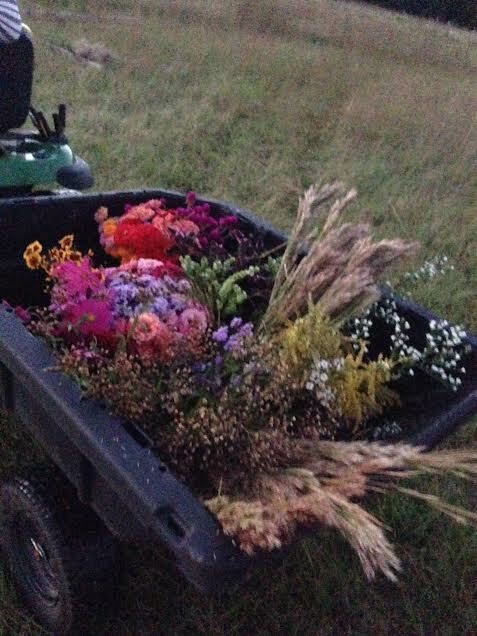 If you are unfamiliar with WWOOFing, we host them on our farm and provide room, board, and education on farming in exchange for 4-6 hours of work each day. 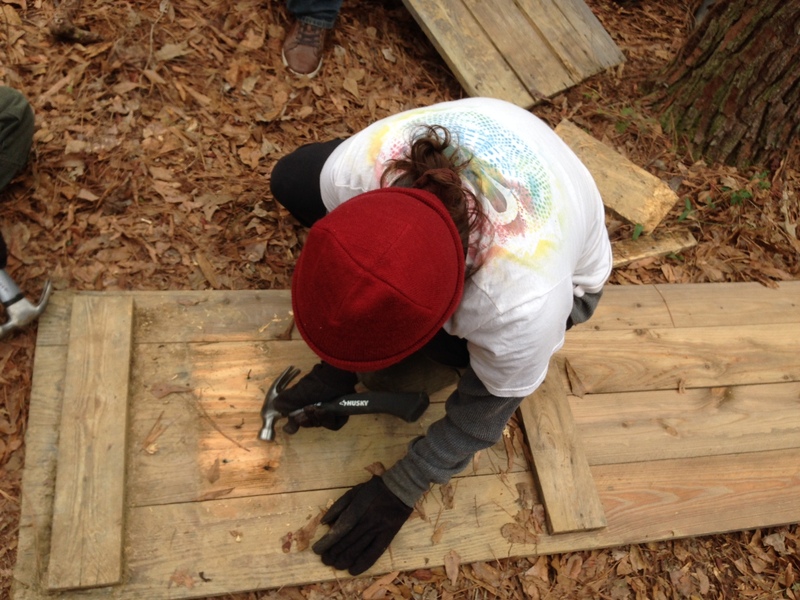 Look here for more – WWOOF USA. 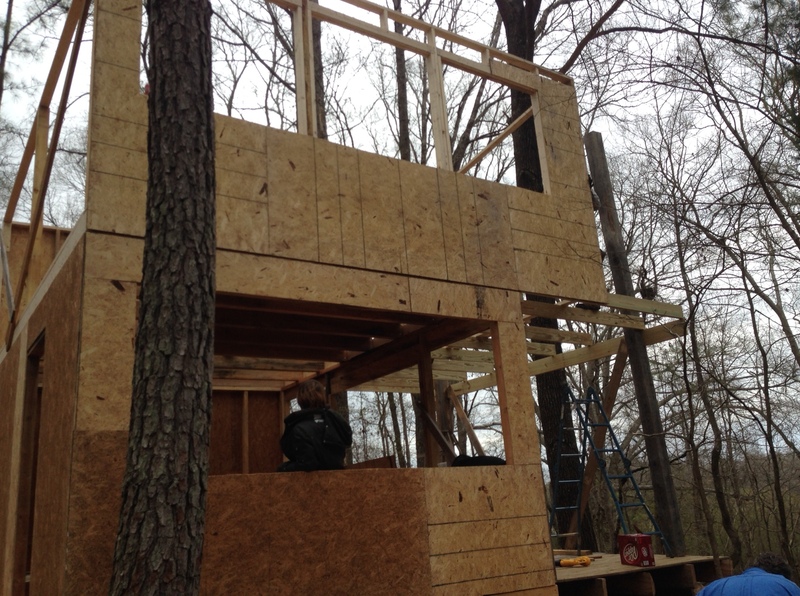 Here are some photos of what we have been working on recently. 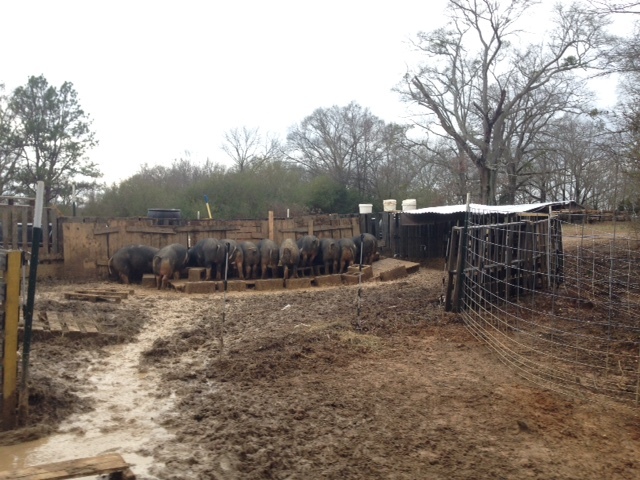 After recent flooding, we woke up one morning to a flooded pig pasture. Yikes! It was cold. Turns out when it floods, millions of ants float, so that made it interesting. 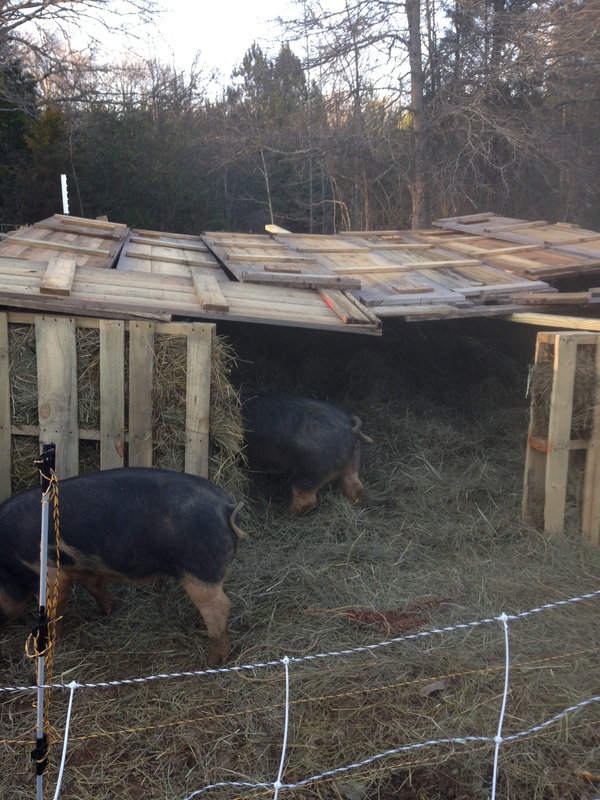 Note to self – when area flood advisories are issued, make sure pigs are not in low-lying areas. The piggies were cautiously optimistic. With a little coaxing, they got the hang of it. And now they are piggies in the mist. 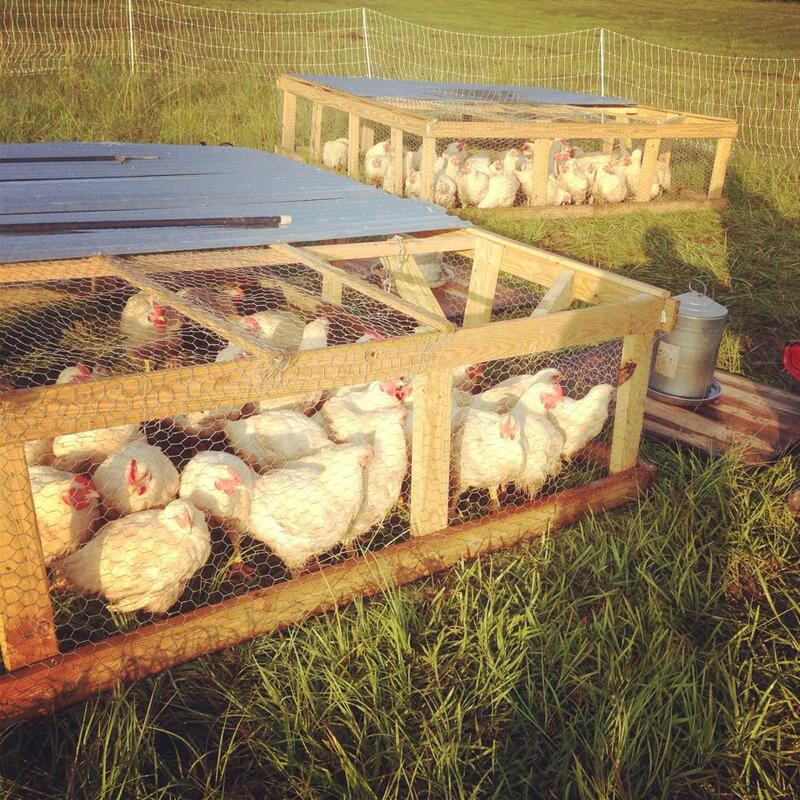 We are trying out a new method of raising the broilers. They like to spend a lot of time working on their sun tans. That means more vitamin D for us. We processed our last batch of the year. They grew well and averaged 5 lbs each. You can order yours today in our online store. 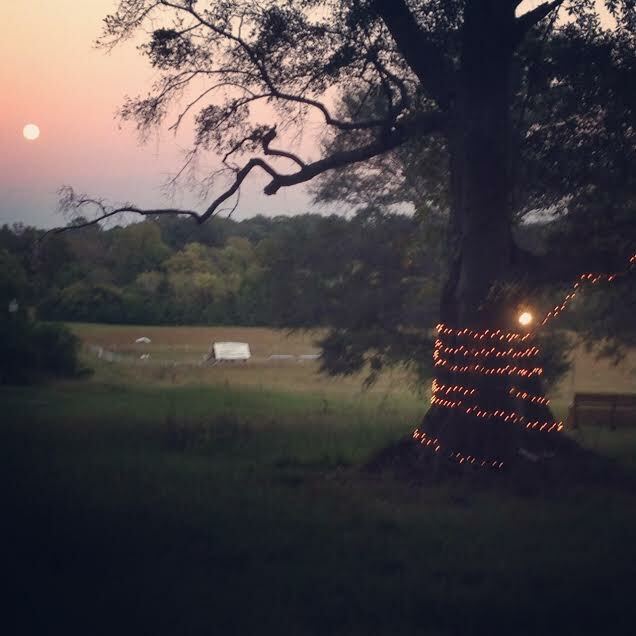 We can meet for pickup in Birmingham, Tuscaloosa, or really anywhere between. 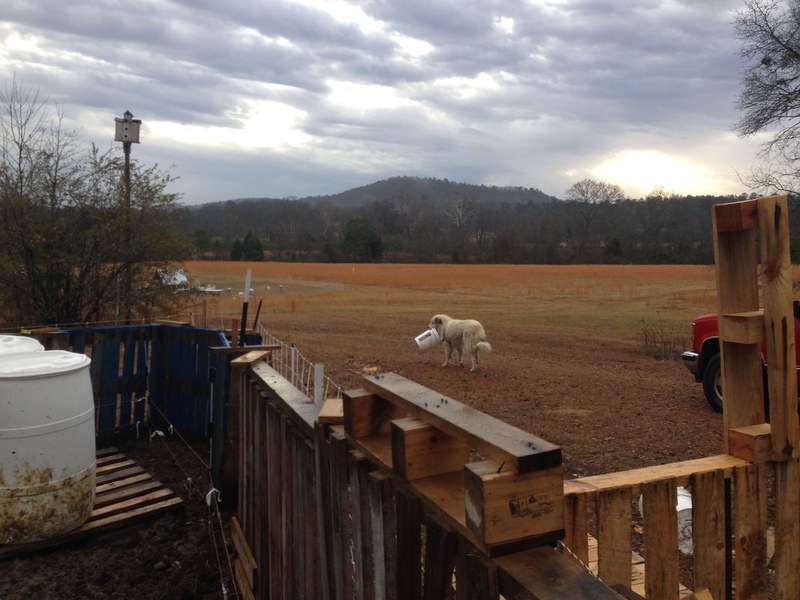 Luna is busted doing what she loves best – moving buckets around our property. Haven’t really figured out what that one is all about yet. 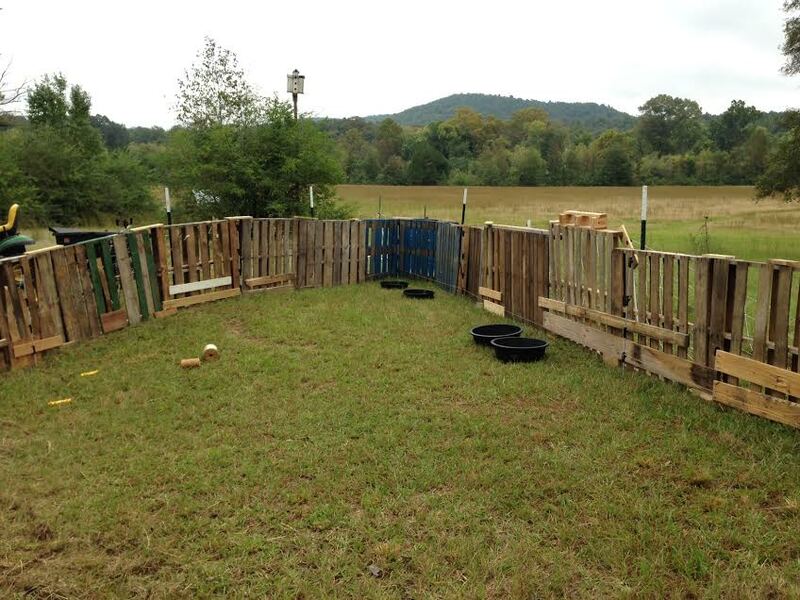 And finally, with the cold weather coming up, we had to throw together some quick piggie housing. We will be reinforcing it later this week. I would say they like it! 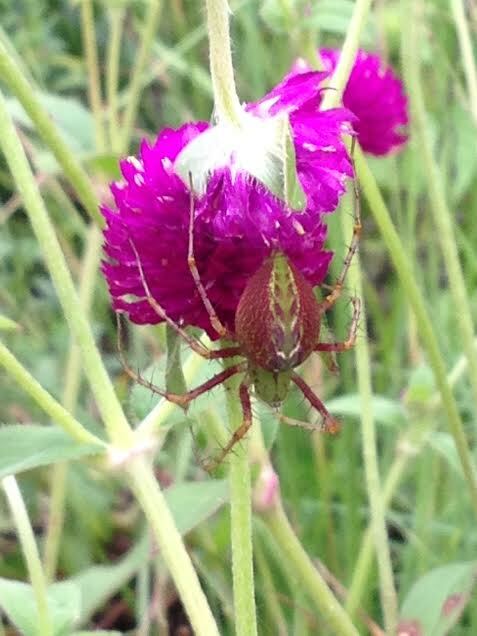 Here are a few photos from around our farm!